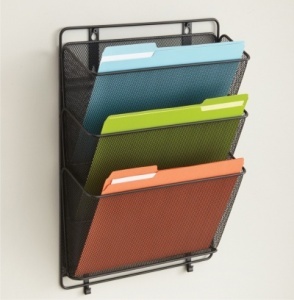 These wall or partition document organiser racks are designed to take literature up to 310mm wide. Both of the 1 or 3 pocket models have large 45mm capacity pockets which are finished in a stylish black powder coated wire mesh. 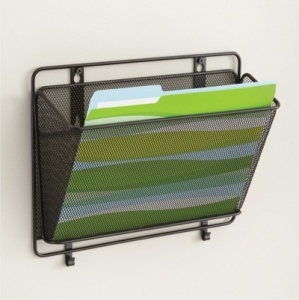 The subtle yet sturdy coated steel rack holds each pocket at the optimum visual angle. Additional hanging brackets are included for fitting over a partition screen.